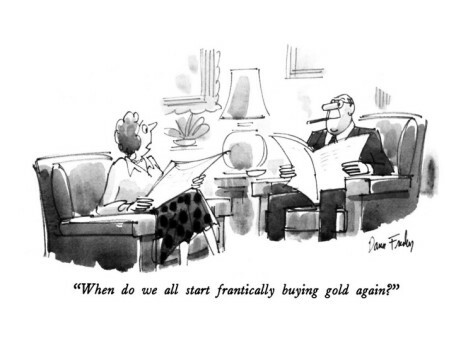 With Gold & Silver, Why Does the General Population Consistently Get the “Buy Low, Sell High” Mantra Backwards? Earlier this month, India’s Finance Minster P. Chidambaram stated, “there is a need to spread financial literacy to encourage people to invest in market instruments and not bullion”. Of course, as an agent of the state, Chidambaram is spewing rubbish, as one can see from the below chart of the Bombay Stock Exchange priced in gold, the utter failure of those that have taken Chidambaram’s advice for the past four years. Just because bankers create volatility in PM markets to make gold and silver prices appear to be weak, this does not mean that these markets ARE weak. We are literally just witnessing the banker perception management game. China is a perfect example of a country that recognizes what the general populace does not. In 2009, they stated that they doubled their gold reserves and admitted lying about their gold purchases for six years. Even back then, I informed my clients that I believed that the doubling of gold reserves was a lie and an underestimation of their true gold reserve levels. It’s odd to me how everyone believed China’s declaration back in 2009. China lied for six years, then informed the whole world they lied, yet I did not see one journalist back then question the possibility that this “official” figure could have been a lie as well. Since then, China has all too willingly participated in the manipulation game as well to serve its own national interests. In late 2009, when the price of gold hovered at $1,200 a troy ounce, Deputy Governor Hu Xiaolian of the Bank of China hinted that gold may be a bubble and stated, “China will not continue to buy gold in an indiscriminate manner”. Given that we have just discovered that China has imported 383 tonnes of gold in 2012 year-to-date at prices considerably higher than $1,200 a troy ounce, we discover that China is not exempt from releasing propaganda to serve their purposes as well. In conclusion, it is quite easy to debunk the propaganda of counterfeit fiat currency advocates that wish to financially enslave the people and prove up the logic of sound money physical gold & physical silver advocates. Yet, propaganda is all too often accepted as truth and facts are ignored by the people. As long as one understands the paradigm that has been created by banksters in gold and silver in which perception does NOT equate to reality, one will continue to take advantage of significant pullbacks in gold and silver markets to buy both of these PMs at low prices and eventually sell much higher. However, for those that fail to distinguish between the bankster-created artificial price suppression mechanisms of gold and silver versus the real determinants of future gold/silver prices, they will continue to make wrong, potentially fatal choices. No one for sure can determine exactly when gold and silver will take off to the races, as when they break through current resistance levels, they may slowly creep past current resistance levels and then take off, or they may smash through resistance levels very quickly. The one thing I can guarantee, however, is that when gold and silver finally make new highs, and they will, some of the ferocious moves higher are absolutely going to stun a lot of people as most of the general population never takes the time to understand the bankster gold and silver manipulation game and therefore never recognize the true dynamics of the physical gold and physical silver markets that are never reported by the bankers and rarely reported by the mass media.